Hulu with Live TV offers the best of live and on-demand content. Enjoy Hulu’s popular on-demand service along with more than 50 channels of live TV including some local channels. Get 7 days free. DIRECTV NOW provides a complete cable replacement. Start with 60+ channels or choose a package with more than double that amount. A cloud-based DVR is also included. Get 7 days free. Sling TV makes streaming on the cheap a reality. For just $25 a month you’ll have 30 popular local and national networks. An on-demand library is also included in your package. Get 7 days free. The Passage is based on the best-selling trilogy of the same name by Justin Cronin. This Sci-Fi drama focuses on Project Noah, a hidden medical facility where a dangerous virus is being created. While it could lead to a cure for all forms of illness, it could also potentially wipe out the human race. If you’re already a fan of the show and you want to find a way to watch it, you’re in luck. As The Passage airs on FOX, there are plenty of easy ways to watch The Passage without cable. In fact, if you’re looking for a way to watch The Passage online, keep reading. We’re about to tell you how. The Passage airs on FOX. This means you can watch the show each week with a digital antenna for free. If you want to watch The Passage online, you’ll need a streaming service to do it. The following sections will help you find a way to watch The Passage live stream and on-demand. Hulu with Live TV is an excellent choice if you want to replace cable with a streaming service. With Hulu Live you’ll enjoy over 50 channels of live TV. 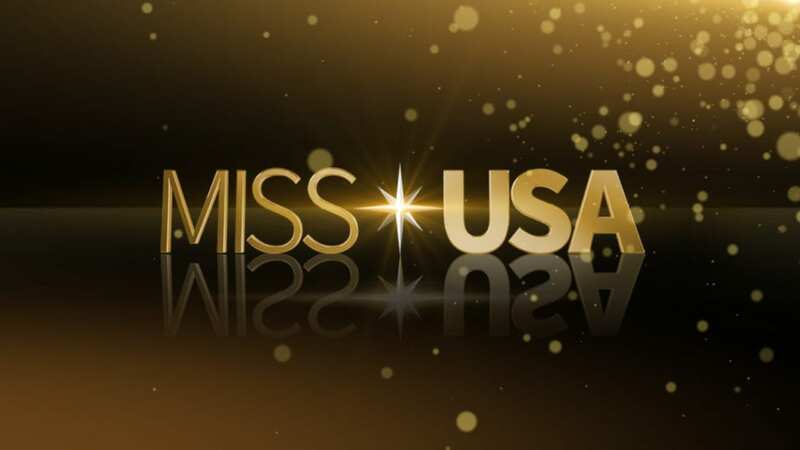 Most areas will receive local channels including the FOX live stream. The Hulu Live channels lineup can tell you more about the channels you receive. 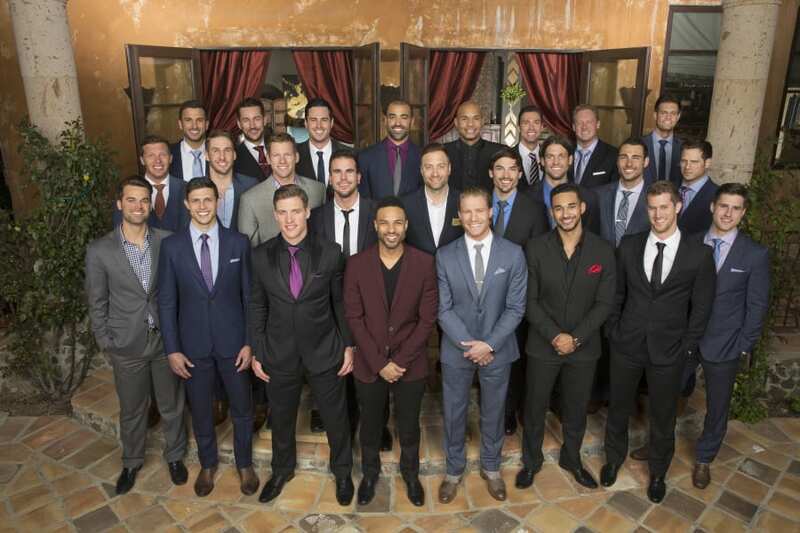 Some of them will include ESPN, TNT, TBS, USA, Food Network, and much more. Hulu Live is available for $40 per month. TV Everywhere apps are also included, so you can choose to watch some content on the Hulu Live app or through an associated network app. As Hulu with Live TV is an extension of the Hulu on-demand service, your package will include the on-demand service as well. If you’re already a Hulu member the price is rolled into the live service, so you will pay just $40 for both services. You can also add movie channels like Showtime or HBO. A cloud-based DVR is also part of your package. You’ll receive 50-hours of storage space or you can upgrade for a fee to get more. You can stream Hulu Live on most devices including Roku, Chromecast, mobile devices, computers, gaming consoles, Fire TV, and other devices. Our Hulu Live review is here to tell you more. DIRECTV NOW is a good choice if you want a cheaper, but still cable-like setup. DIRECTV NOW is very reminiscent of cable. You’ll have big channel lineups, an on-demand library with thousands of hours of content, and access to TV Everywhere apps. Packages start at $40 per month and include 60+ channels. You can get larger packages, some with more than 125 channels. Along with locals, you might have Discovery, AMC, USA, TNT, Food Network, Syfy, History, and other channels. You can also add channels like HBO to your package. There are no contracts so canceling some or all of your subscription is as easy as clicking a few buttons. 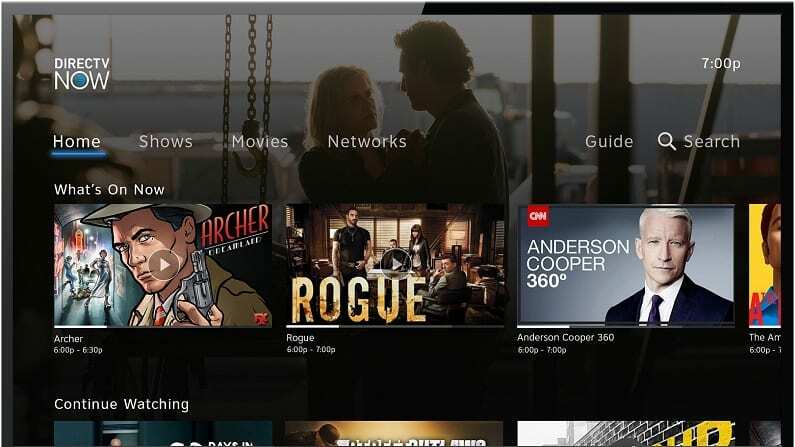 While DIRECTV NOW offers plenty of ways to be entertained from live TV to the on-demand library and TV Everywhere apps, they also provide a cloud-based DVR. Together, all of these features should ensure that you don’t have to miss any of the shows you want to watch. DIRECTV NOW offers an easy to use guide and a setup close enough to cable to make it good for transitioning cord cutters. You can stream DIRECTV NOW on mobile, Chromecast, Apple TV, Fire TV, Roku, and many other devices. 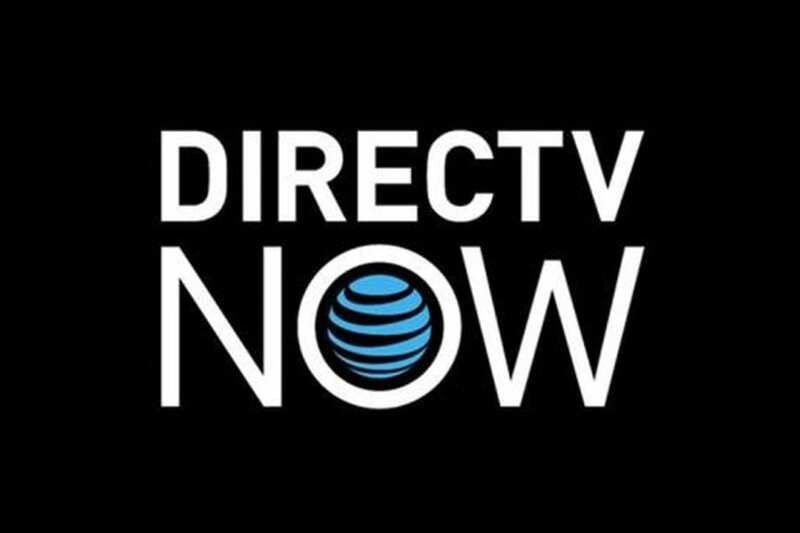 You can visit our DIRECTV NOW review to learn more. 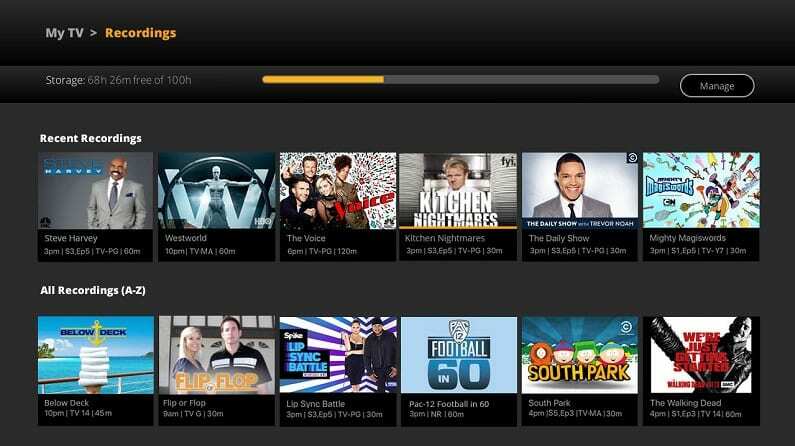 Sling TV offers two main packages. Both Sling Orange and Sling Blue are $25/month. Both offer around 30 channels and include identical offerings beyond the channel lineup. If you want more than 30 channels you can combine the packages and pay $40 per month instead. If you’re going with one package, you’ll need Sling Blue to watch The Passage online. 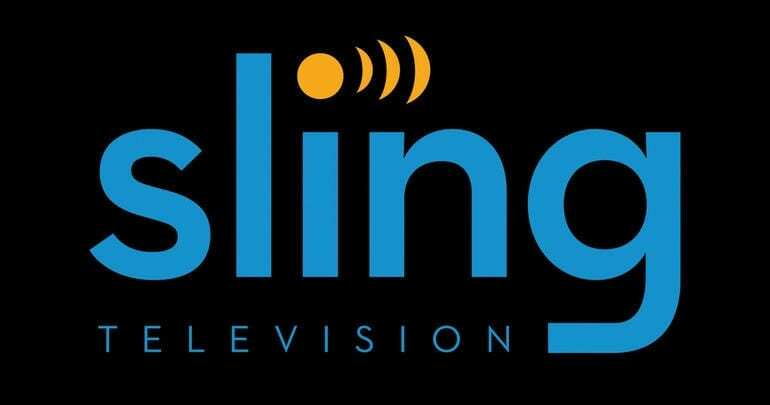 Other available channels in Sling Blue include AMC, USA, TNT, and BBC America. You can also use TV Everywhere apps to access network apps. An on-demand library is also included. Dozens of channels are available to be added to your package. You can choose more kids channels, sports, movies, or even news or local channels. Channel bundles are cheap, and you can drop or change them whenever you want. This gives you the freedom to design your own package. One thing that’s missing is a cloud-based DVR. You can add one for a fee, it’s just not included for free. You can stream Sling TV on computers, gaming consoles, Apple TV, Roku, Chromecast, Fire TV, and others. 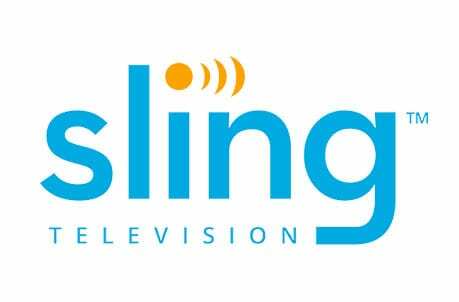 Our Sling TV review has many added details. 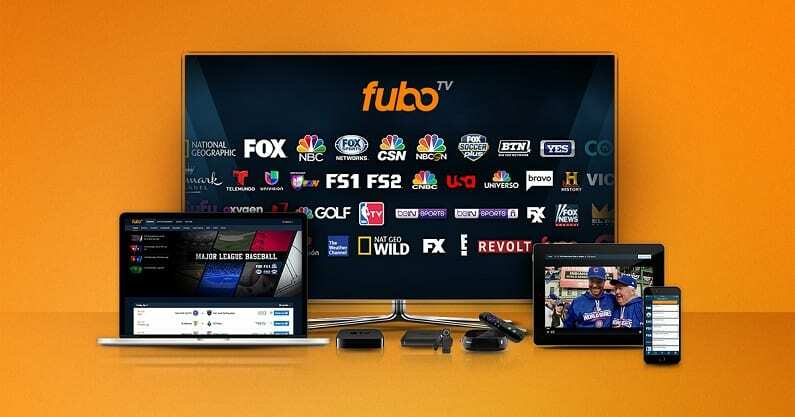 fuboTV has been known as a sports-centered streaming service since it became available, but there are a fair number of non-sports channels in the 70+ channels that are available. Some locals, including FOX are available in most areas. You can also use TV Everywhere apps, so even if you don’t get the FOX live stream, you can watch content through the FOX app. Many regional and international sports channels are included, as well. You can find sports from all over the world. There is also a wide variety of sports and movie channels that can be added to your package. fuboTV also comes with an on-demand library. fuboTV is $45 a month with no contracts or commitments. The first month of fuboTV is just $40. With no required commitments you can try the service and if you don’t like it, you’re free to cancel it. Your account also comes with a cloud-based DVR. You can stream fuboTV on Chromecast, computers, Apple TV, Roku, Fire TV, and mobile devices. You can learn more in our fuboTV review. Watch fuboTV free for a week – get The Passage streaming free! 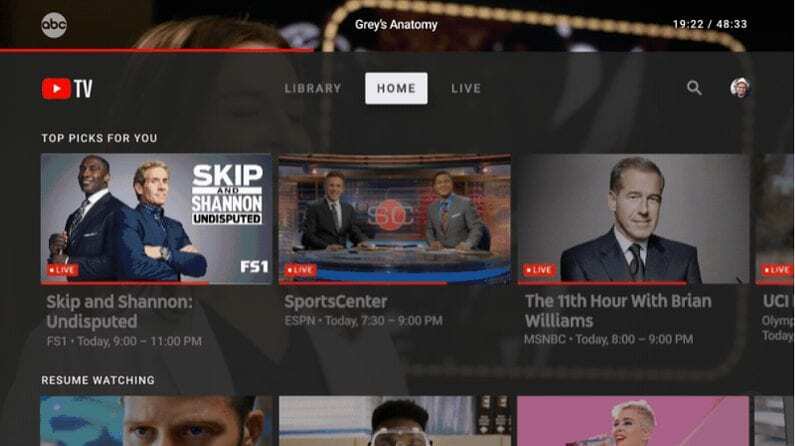 YouTube TV is one of the newer streaming services, but it’s one that offers local channels in most areas of the country. One package is available for $40 per month. This means that most areas will have access to the FOX live stream so they can watch The Passage online. In addition to local channels, you will enjoy 50 other channels ranging from AMC and ESPN to TNT and other networks. HBO and other movie channels can be added, as well. An on-demand library offers more content, as do the available TV Everywhere apps that you can try. If you want to record your favorite shows, you’ll have the use of a cloud-based DVR. The DVR comes with unlimited space, so you’ll have room to record entire seasons of shows if you want. Recordings are held for nine months unless you choose to delete them before then. You can watch The Passage live stream on mobile devices, Apple TV, Roku, computers, Chromecast, and other devices. 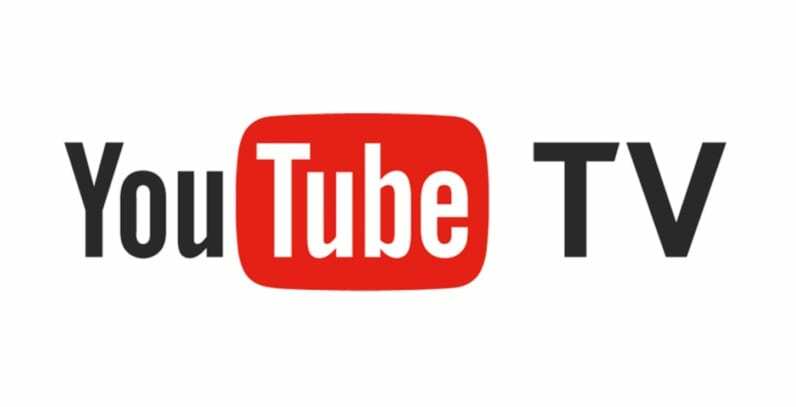 You can learn more when you visit our YouTube TV review. 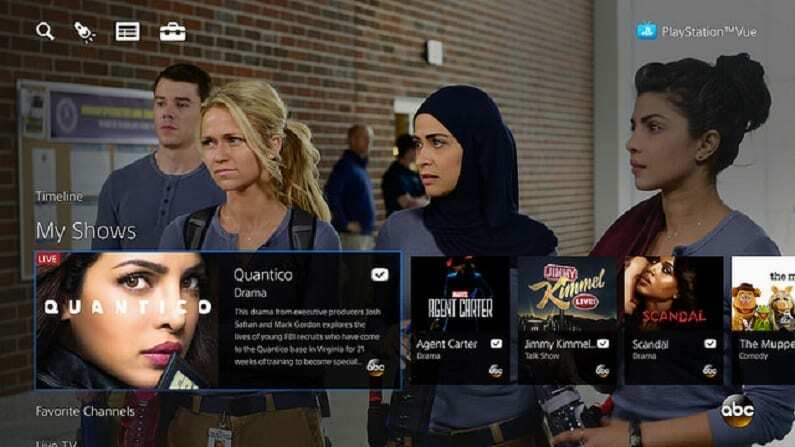 PlayStation Vue has evolved quite a bit from the early days of streaming. These days, you can choose from multiple packages that start at $45 per month. You’ll start with 50+ channels in the smallest package with each additional package offering more channels. Local channels are available in many areas. You’ll also receive channels like Syfy, USA, Food Network, AMC, Disney, and many other channels, based on your package. You can also add movie channels to your package for a small fee. An on-demand library is included with every package. This gives you a second chance to watch something if you missed it live. Many TV Everywhere apps are also included. You can record shows to your cloud-based DVR. If you want your own DVR space, you can make separate profiles for the whole family. PS Vue is able to stream on PS3 and PS4, Apple TV, Roku, Chromecast, Fire TV, mobile devices, and more. You can learn more with our PS Vue review. You can also try the 5-day PS Vue trial. How Else Can You Watch The Passage Online without Cable? There are also on-demand services that may offer The Passage streaming. If there are on-demand options you will usually be able to watch The Passage without cable, the day after it airs on TV. The common on-demand options and whether or not you can watch The Passage online with them is listed below. The Passage airs on FOX. As an over-the-air network, as long as you can pick it up with your digital antenna you can watch it for free. A digital antenna is a necessary expense if you’re planning to cut the cord. Depending on where you live you could end up receiving a significant amount of local channels from FOX to PBS channels. If you’ve yet to splurge on a digital antenna, there are a lot of great options out there. Here are some of the ones we like. Is The Passage on Amazon Prime? At this time the only way to stream The Passage on Amazon Prime is by buying each individual episode. The season or any of The Passage episodes are not offered through the Amazon Prime membership. Our Amazon Prime review is here with more details. Is The Passage on Hulu? You can watch The Passage online with Hulu’s on-demand service. The service costs $7.99 per month and includes thousands of episodes of new TV shows each month. Shows generally arrive the day after they air on TV. A free one-week trial is available to watch The Passage streaming free. Learn more in our Hulu review. Is The Passage on Netflix? Netflix is not yet offering The Passage streaming through Netflix. If you want to watch with this service, you might have a bit of a wait. The Passage episodes cannot be added until the full season has aired. So, if you want to keep up with the series you might prefer one of the live streaming options instead. You can learn more about Netflix in our Netflix review. Additional details can be found on The Passage website. If you have any more questions about how to watch The Passage, you can let us know in the comments!